"Our manifesto, this election, has given a call: vasati mattu bhoomige namma votu (our vote for land and housing)"
The Slum Janandolana, Karnataka (SJK-Movement of Slum Dwellers, Karnataka) is organising slum dwellers to fight for their rights and against the oppression by the state and bureaucracy for a decade now. Newsclick and Indian Cultural Forum spoke to Narasimhamurthy, state convenor, SJK, about the approach of the political parties in the state towards the demands of slum dwellers. He notes that all the political parties have historically looked at the slum dwellers as a vote bank, and not a community. According to him, there is a dire need to educate the slum dwellers, making them conscious of the fact that they are the political tools for these parties, against the backdrop of the upcoming assembly elections in Karnataka. What is SJK? Could tell us more about the organisation? Slum Janandolana, Karnataka is a state level forum focusing on the concerns of the slum dwellers. SJK is functioning in 18 districts of Karnataka for a decade now; and we focus on the slum dwellers in these districts. Slum dwellers are seen as a burden on the society, and we are attempting to get rid of this notion. As in, we are the people who are building the city. None of the governments has provided the basic facilities and infrastructure to us, who are instrumental in literally building the city. Now the question is, why do slums exist? Slums exist because there is a problem of housing. If decent housing is made available to people, none would choose to live in the slums. So, SJK strives to question and fight the hierarchical, discriminative and oppressive socio-economic structures and system that exist. Even though poverty, housing and land are recognised as the main issues faced by the slum dwellers, social discrimination should also be looked into. Caste is one form of discrimination prevalent in the society, and it is reflected in these slums. The minorities, Dalits and extremely poor, and untouchables live in the slums. SJK recognises this, and works for the issues of these communities. We have around 40,000 members, and the organisation is managed by these members itself. SJK has built a platform for the slum dwellers. Ten to fifteen years ago, in Karnataka, slum dwellers were seen merely as a vote bank; this is not the case now. The reason for this is, cities are becoming more accommodating of us and our demands, and we are being heard now. We have successfully shown that we are a political force. Many candidates that we have supported in the corporation elections have come to power. Eight of the MLAs, who won in 2013 elections, were supported by us. Therefore, we have emerged as a political force. SJK has various experiences. Earlier, the ones, who claimed to be representing us, did that out of sympathy. SJK has given a platform to discuss and represent the problems and the experiences of humiliation and pain, by the slum dwellers themselves. Slums are situated in various localities across Bangalore. What is the history of these slums? How did they happen to come up in these very localities? Firstly, the yesteryears’ Dalit colonies are today’s slums. This is one of the explanations. For example, Gopalpura in Magadi road was a Madiga colony. This colony hosted the service providers of the city and now it is transformed into a slum. Another example could be of the Kamakshipalya . There were many such colonies in the city[TB1] centre [TB2] and all of them have been evacuated now. For example, L R nagar and and Rajendranagarin Kormangala were all in the city centre, and they were evacuated from there in the name of urban development and construction of the bus stop. There were slums even next to the Vidhana Soudha, and these got shifted to Laggere as soon as the Vidhana Soudha was constructed. Specifically in Bengaluru and Karnataka in general, all the Dalit colonies have turned into slums. Secondly, we see, the slums being evacuated from the cities and being shifted to the regions around the city where, townships, industries and various development projects were mushrooming. The reason for this is that slums provide human resources for these projects. They are always in need of domestic workers, construction workers, cheap labour, and therefore the slums in the city were all evicted and shifted to these townships. This has been the case for Bangalore for a long time. This trend can now be seen emerging in rest of the state too, especially, in the regions like Belgaum and Dharwad. In Bengaluru, this trend has been there since 1990s. Hence the slums are mostly located in the areas where service sectors were growing. Thirdly, there was a lot of unused government land, and we had occupied these places. It is now that the politicians and also various builders are getting documents, and are trying to acquire these lands. 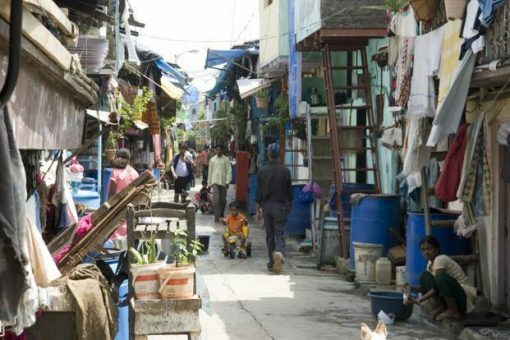 According to the government records, there are 400 slums in Bangalore. But, if you ask us, there are more than a thousand slums. The government has considered only the declared slums, and not the undeclared and tenancy slums, and nor the shelters provided to the labourers migrated from Bihar, West Bengal and other places. So, there are at least physical structures and characteristics to the declared slums, but these shelters are situated in such parts of the city that it is impossible to even spot them. There are slums called Nela Badige slums, allocated to the migrant construction workers from northern Karnataka. People pay Rs 500 or so per month to the builders, and stay till the construction is completed. Those, who migrate from Bengal, Bihar and the North-East, are provided the shelter homes, as they have to be in the city every day. These workers are mostly employed by the construction workers, and are made to work for 18 hours a day. This is the reason why they are put in the shelter homes in the project vicinity. It is very difficult to go and talk to them, as they are not allowed to interact with anyone. If one has to talk to these people, one has to go through the contractor. There is an economic reason for getting these workers to the city. Slum dwellers in the city are organised, and have been functioning as pressure groups. The government bodies and the construction companies have hence resorted to getting labour from outside and providing them with these shelter homes. What has been your experience with The Karnataka Slum Areas (Improvement and Clearance) Act, 1973? The Act was in place in the state since 1975, and the board was set up in 1978. However, it is only in 2000 that we got to know about its provisions. SJK played an instrumental role in bring the existing Act into the daylight. There have been five to six amendments to the Act, and there was also a board set up based on the Act. During SM Krishna’s government, Bengaluru hosted various international sports and other events. At that time, many slums in the city were evicted, and the government had resorted to burning down the slums. Not less than twenty slums were lit up every week. It was during this time that, various Left organisations, Dalit organisations, individuals and NGOs across the state came together to form Slum Dwellers of Karnataka Joint Action Committee, which is a larger platform, and it was through this platform that we came across the Act. When we looked into the Act, we felt that the Act could be used to a certain extent, to safeguard the people living in slums. The Act definitely has loopholes, but can also be used to fight for our rights. Hence, we decided to educate people about the Act. We came out with two cassettes: one was called the Slum Kayide (slum laws) and the other one was Slum Dhwani (voice of slums). The former was in the dialect spoken in the Northern Karnataka region, and we introduced the act in those regions using this cassette. The latter was recorded by Raju of Mandya[TB3] . With the help of these cassettes, we wrote scripts of street plays, and also organised a six-month-long campaign. We focused on the Act and discussed it with the people living in slums, organisations and their leaders working for slum dweller rights. In 2002, there was an amendment made to the Act. The amendment was an ordinance for a long time and during this time, we presented the pro-people clauses that needed to be added to the amendment. The principle secretary back then – Bulla Subbarao – had received the eight to ten points we were trying to make. This was followed by demands for slum declaration, land acquisitions, challenging de-notification of land using section 56 and using section 58 to evict the liquor shops from the slums. These things were possible only because of the Act. Before we knew about this Act, we used to feel like we were begging in front of the government. Now that we know the provisions of the Act, we are able to articulate ourselves and fight for our rights. How do the people of Karnataka perceive the upcoming elections? According to you, what is the approach of the political parties in the state? Today, in the State of Karnataka, elections are an affair of only the political parties and a certain people. People and their participation is reduced to mere votes. Especially, during elections, ideally one would expect that the political parties would represent the voices of people; but this is not happening. The political parties in the state seem to be more interested in talking about the possibility of their victory and about the reasons that would facilitate their victory. Actually, these parties should be talking about the problems faced by the people and the issues that prevail in the state, which they are not doing. Thus, during elections, the candidates who, apparently, represent the people of the state, should have been talking about all these issues. There is a need for alternative politics in the state. Efforts were made to bring this alternative politics in, but it seems impossible; and because of this, the people’ problems in the state are not taking centre stage. How have political parties in the state approached the slum dwellers and their issues, especially during the pre-election campaigning? Also what are the demands of slum dwellers and your organisation from these parties? All the political parties aim at capturing the votes of the slum dwellers. Any young local dominant leader contesting elections would approach the slum dwellers for campaigning ten years ago, and would end up bagging their votes. This trend was of our concern. How do we stop this, was the question. We reflected on this question and decided to present our manifestos to these leaders during elections. We did so for the last two elections. The most important points we raised in these two manifestos were: one, we need land ownership rights, and two, a ministry solely for the slum dwellers should be set up. Also, the Housing Rights Act for the slum dwellers has to be brought in place. We had put forth some 12 points: an act for the street vendors should be passed, nomadic communities should be recognised, development of the slums and loan waivers were some of our demands. This government, after coming to power, has not fulfilled all our demands. We have revised the manifesto for this election and have got 10 demands. According to the government, there are 45 lakh slum dwellers in the declared slums. According to us, there are around one crore slum dwellers in the urban population. Hence, we demand to be separated from the housing department and appointment of a minister for development of slums. There already is a board for slum development, but we cannot do much using this board for development. The incumbent Congress government got the managing member of the board into the cabinets, and told us that they have fulfilled our demand. But, that is not what we want. We want a separate department, as there is difference between a board and a department. We also need land entitlement. Now, after being declared as a slum, we have a period of 15 years with us to be in the slum. After 15 years, we are evicted. So, we demand land entitlement. The current government has made amendments called 94cc to the revenue act, and has created a space for this possibility. The government has received more than 2 lakh applications, and so far, the government has responded to 1,08,000 applications, and there are many more pending applications. The board says that there are 2,760 slums in Karnataka and according to the Director of Municipal Administration, there are 3,600 slums. But, 1,184 slums are in the Urban Local Bodies (ULB) lands, the municipality lands. And these lands are not applicable under 94cc, so we need these slum dwellers also to be eligible for entitlement. Along with this, we are also demanding for the redefining of social justice based on the caste survey that was conducted in the state in 2015-2016. Our manifesto, this election, has given a call: vasati mattu bhoomige namma votu (our vote for land and housing), and we have made this very clear to all the political parties. We also have started campaigning for our demands. Apart from BJP, we have approached Congress and JD(S). Both these parties are talking about this manifesto. Congress is also collecting testimonies and narratives from people in four divisions based on this manifesto. Veerappa Moily of Congress, H Vishwanth and HD Kumarswamy of JD(S) are talking about these demands. In the previous elections, Congress had made 165 promises and out of which, three focused on the slums. They have fulfilled two promises. One, loan waivers: around fifty eight thousand slum dwellers have been given houses under Valmiki housing scheme and 276 crore worth loan and interest were waived off. Two, we had asked for universalisation of the food system. Even though this was not done, under schemes like Annabhagya Yojane, the stringent food civic supply laws that the BJP government of 2009 had passed, were weekened and this scheme was launched. One promise that stands unfulfilled is that of the land ownership and along with this, they also had promised that they would work on better housing: They had promised construction of three lakh houses in one year, and according to them, they have constructed twelve lakh houses, but in urban areas they have constructed only 38,000 houses. Hence, in this manifesto, we are focusing on housing and land. We also have demands based on the problems in a particular constituency. We are also presenting these demands to the candidates contesting in these constituencies. Till now, we would end up voting anybody. Now, things have changed due to the unions, the candidates find it important to talk about people’s demands, when they come for campaigning. It is only now that the political consciousness is seen emerging among slum dwellers. A slum in Karnataka is seen as a vote bank and never as a community; because slum has a characteristic feature of hosting diverse communities, and hence it is never seen as a community. A campaign that was organised to educate slum dwellers on state politics, created a political wave. People now are claiming that they are a community. We should remember that the slum dwellers have been told that voting is a work of charity, but now, they also have come to recognise it as a political weapon. Slum Dwellers were/are seen as a vote bank. They are also in a vulnerable position. How is this vulnerability being used by political parties and also in the context of increase in the communal violence in the city, how do you see BJP’s campaign this election? Slum Morcha is a BJP wing that works in slums. This wing has recently brought out, report called Slum Dourbhagya. This study has not addressed the things that it was supposed to. What they have spoken about is the lack of houses in the slums and thus they have promised houses. They cannot do anything else. They also had organised an event called, Slum Vastavya across the state. All the prominent leaders of that party participated. The reason behind this was the fact that slum dwellers constitute a large voting population in 80 constituencies, and hence during elections slum dwellers become very important. They haven’t spoken anything about the issues of the slum dwellers. Instead, they had got their own beddings and chefs. If they had dared to live like a slum dweller, they would have got a chance to talk about the everyday struggles of slum dwellers. BJP can talk about our manifesto, but they do not. The PM Modi has declared the land holdings with the slum dwellers as public resource under Pradhan Mantri Awas Yojana (PMAY). This has snatched the mere 2% of the total land share in the city, that was with the slum dwellers. Now, we have to give away our lands to corporate when asked to. The question we have is, in 2009, most of the slums – around 40 slums in north Karnataka were destroyed by the floods. The 2,000 victim families have got no remunerations and houses. They have not done anything for slums. We doubt their intentions behind their Slum Vastavya. We are afraid that these people did this event with an intention of grabbing the lands of slums. Their slum Morcha and its workers are involved in generating communal sentiments. They have been successful in some slums, especially, in Bengaluru slums. They could not succeed in the slums in other regions of the state, but in Bengaluru they can do it and they are doing it. The things that they are talking about are all about maintainig the caste order. They think of us as beggars and give us gifts. They should start talking about our issues. One development is that the party is not engaging with the public through large rallies, but is doing to door campaigning. This has reduced the participation of youths in the slums in their rallies.